After both being regularly appointed to Women’s Super League games as Touch Judges throughout the season, Mackenzie Maddison and Stuart Fraser have been appointed to the Women’s Super League Grand Final taking place this afternoon. Both Mackenzie and Stuart have been appointed as In-Goal Judges. The final sees Leeds Rhinos take on Wigan Warriors at the Manchester Regional Arena, Etihad Campus (Manchester City FC), the same day as the Men’s Super League Grand Final takes place at Old Trafford (Manchester United FC). 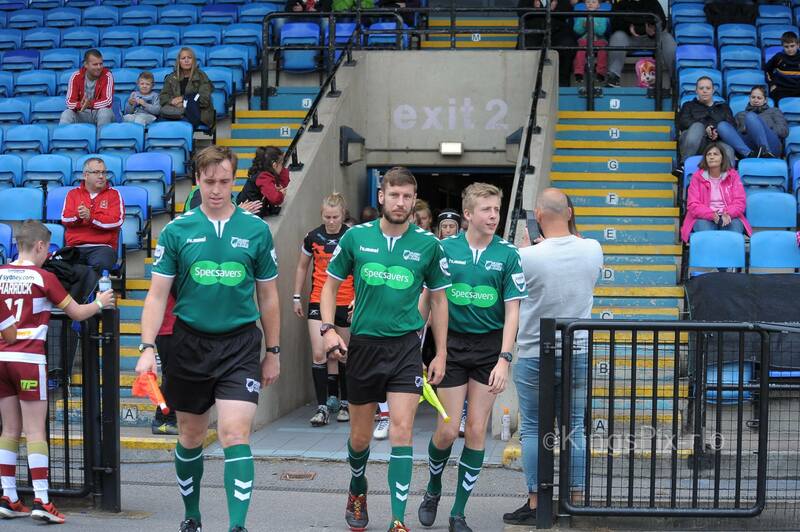 Ref: Alan Billington, TJs: Jordan Powell & Scott Fernandez, Res: Luke Bland, IGs: Stuart Fraser & Mackenzie Maddison. Women’s Championship Grand Final (11:00ko) & Women’s Super League Grand Final (13:00ko) @ Manchester Regional Arena, Manchester City FC. Super League Grand Final (18:00ko) @ Old Trafford, Manchester United FC.